Risks: The pass can get iced up after a major snowfall, making it very dangerous. There is also a minor risk of rock falls. Bannerman Pass was named after former British Prime Minister Sir Henry Campbell-Bannerman. 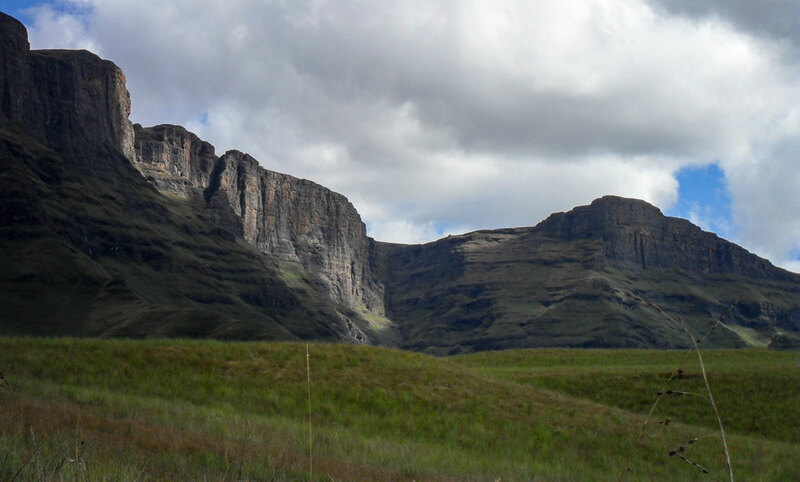 It is said that, when viewed from the right angle, the cliffs just south of the pass resemble the profile of his face. Personally, I have never been able to see it, but nonetheless, that’s the origin. After paying for your permits at the Ezemvelo offices, and signing the mountain register, head back up the road to the picnic site. If you see a sign warning you that crows might eat your windscreen wipers, you are in the right place! 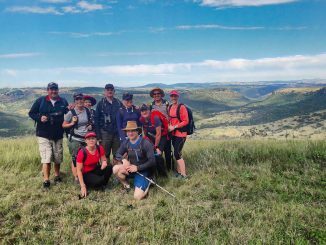 The trail starts off on concrete, as it steeply zig-zags down towards the Bushman’s River. The river is crossed by a wooden bridge. Take the left split just after the bridge – it is signposted in case you aren’t sure. 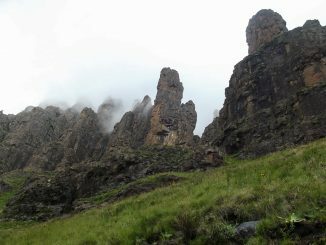 This section of the trail is roughly 6km long, climbing up three sections of ridge before levelling out at an altitude of around 2200m. At the junction on the contour path, turn right – this too is signposted. There is a large tarn at this junction, which can be useful for cooling off in summer. 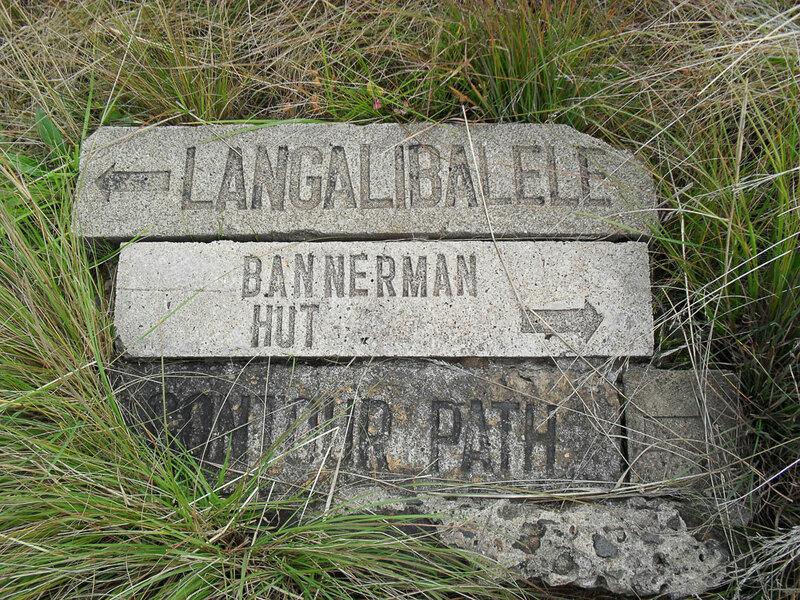 The path will continue to Bannerman Hut. 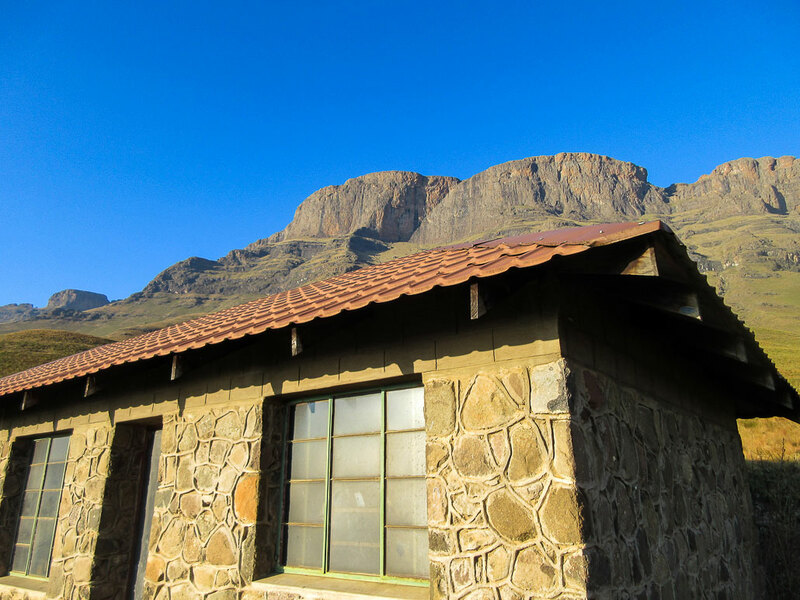 This hut sleeps 8 and can be booked online or at the Ezemvelo offices. 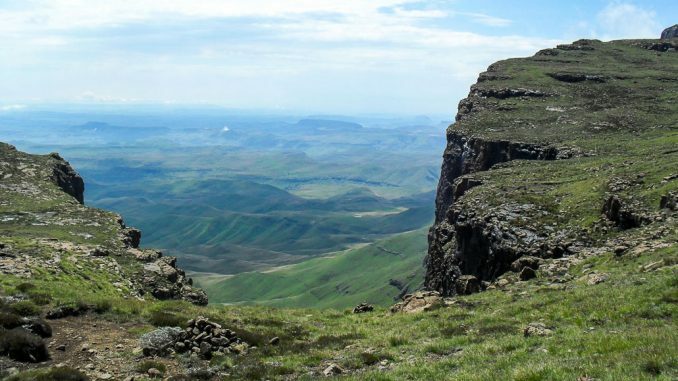 It is the same price as an overnight hiking permit, currently R70 pppn, and no further permit is required (i.e. 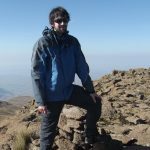 you either pay for an overnight hiking permit or the hut, not both). The hut is very rustic, offering little more than shelter from the elements. The beds are masonite, so you will need a mattress. There are no facilities, with water being collected from the nearby river. 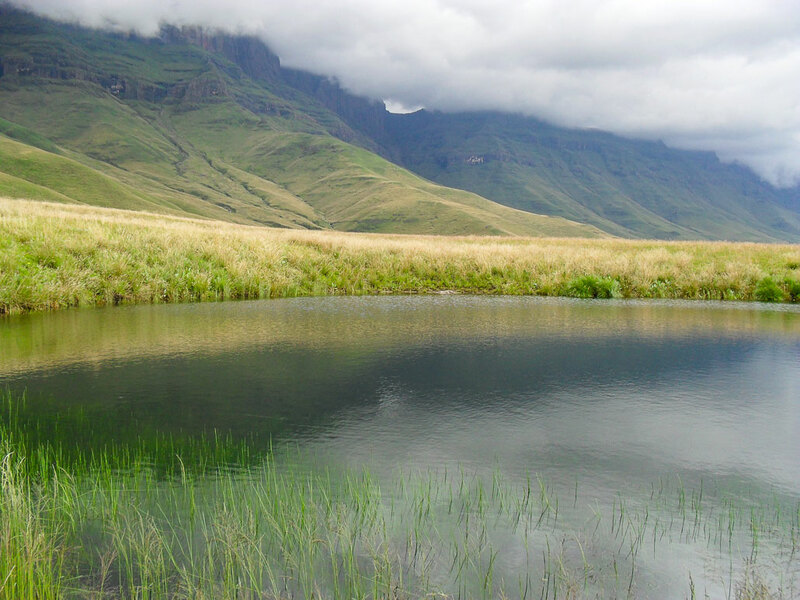 This water is generally drinkable, but it is best to collect it upstream of the hut as some people do not comply with hiking ethics regarding outdoor ablutions. The pass starts from the hut. Initially there is a trail, but the trail soon fades away. 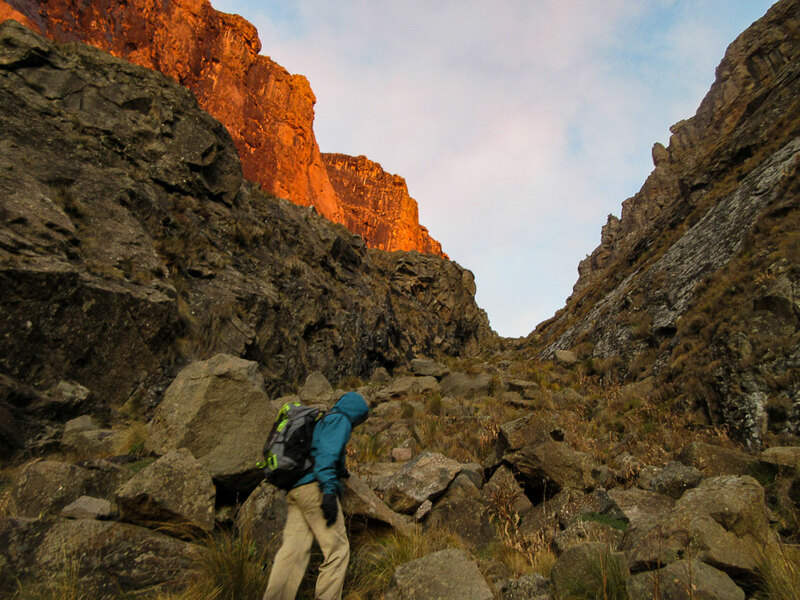 The route is fairly obvious – one simply follows the gully until the top is reached. 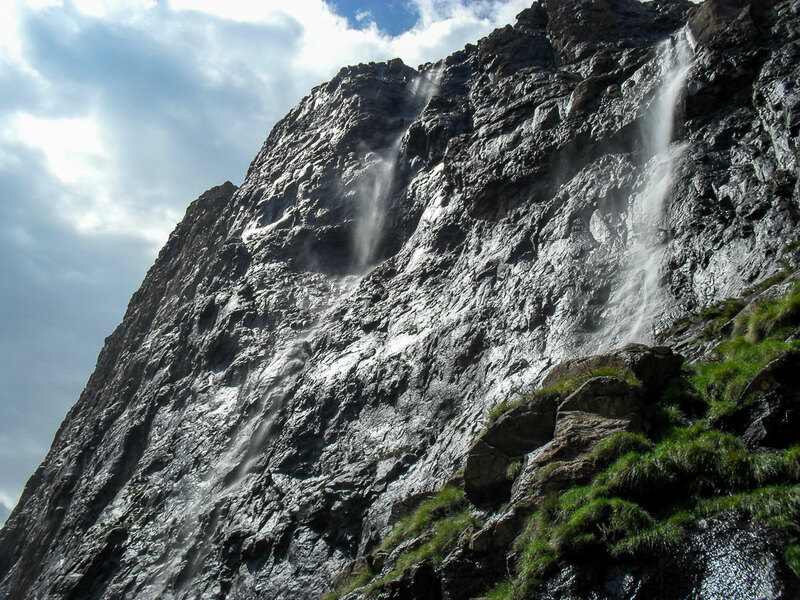 In summer, large waterfalls form above the pass, and the gully itself can become a river. This makes for great photos, but a rather wet experience! 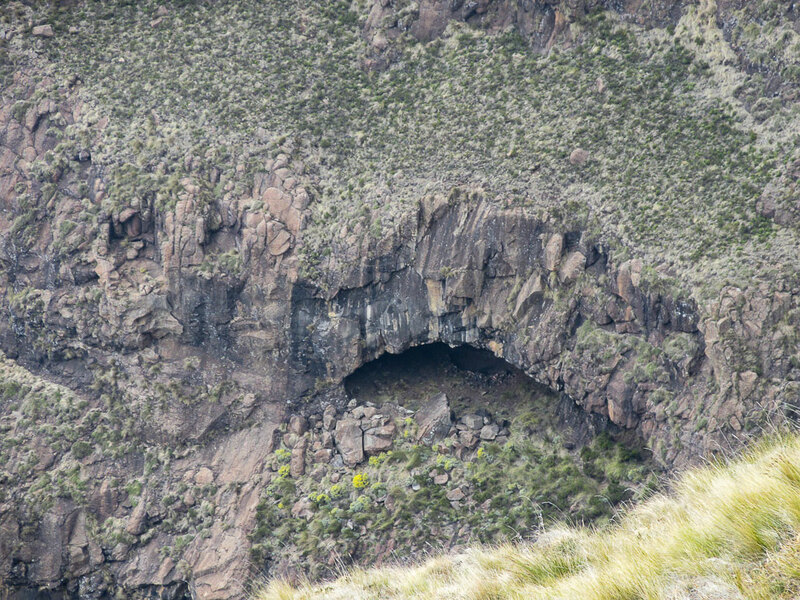 At roughly 2700m on the pass, on the south slopes, a large cave called Spare Rib Cave can be seen. A small shelter is visible from the gully – aim for this, and continue around the corner on the ledge till you are past this cave. Finding the pass from the top can be tricky in poor weather – and is not feasible to explain. However, in clear weather, the pass cuts back so far into the ridge that it is very visible from a distance. 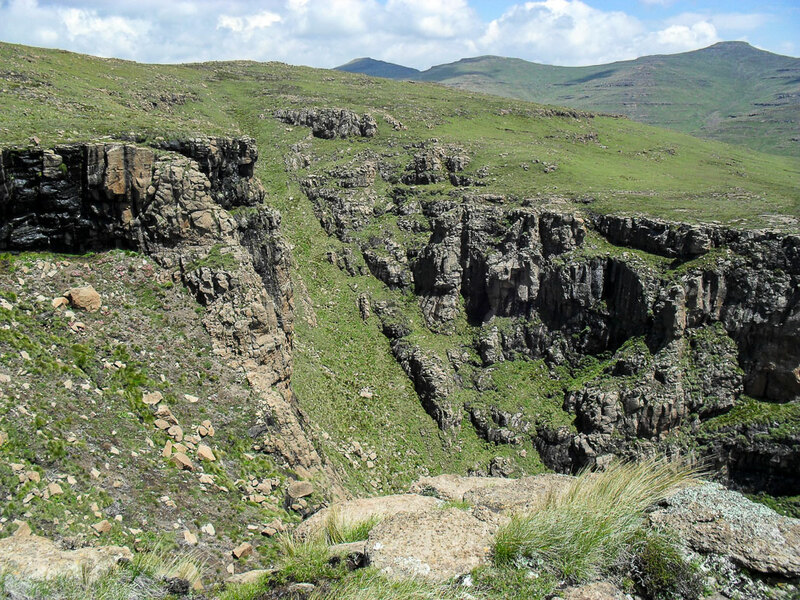 From the north (Popple side), aim for the obvious saddle right of Gypaetus Point, and upon reaching the escarpment edge, follow the cliff line right till the summit is reached. 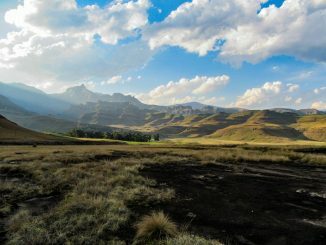 From the south side (Langalibalele Pass/Sanqebethu) – refer to the instructions on the writeup about Langalibalele Pass.